This stylish black unit with blue LED lights is a great choice as a coffee machine for home or office use. 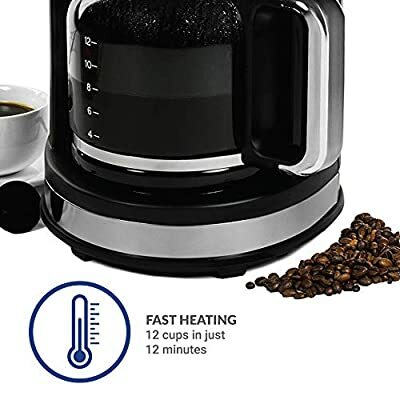 It comes with a 24 hour timer allowing so you can set it to make you a fresh cup of coffee in the morning, or for when you get home from work in the evening. It can also be set to come on in the office for your morning pick me up, or to cover an afternoon slump. The large capacity water tank holds 1.5 litres of water and the fast brewing times mean you can make a cup for yourself and your colleagues in a matter of minutes. The anti-drip design ensures you won't waste a drop, as the coffee won't be dispensed unless the carafe is on the hot plate, and the keep warm feature allows you to go back for a top up. How Many Cups Will This Make - And How Quickly? 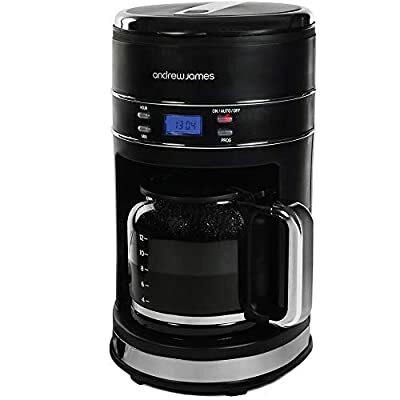 You can use this coffee machine with filter to make up to 12 cups (125ml) of coffee in as little as just 12 minutes. This makes it perfect as a coffee machine for office use, showrooms or waiting rooms. You can make fewer cups just by adding less water, or by manually stopping the machine when you've brewed the amount you require. Yes, the plastic filter on this coffee machine is easy to remove and just as easy to clean. 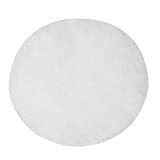 Because you can reuse it time and time again you'll save money on costly filter papers, plus you'll be creating less waste. When you do need to wash it simple clean in hot soapy water then leave to dry thoroughly before replacing. What Sort Of Ground Coffee Does This Filter Coffee Maker Use? 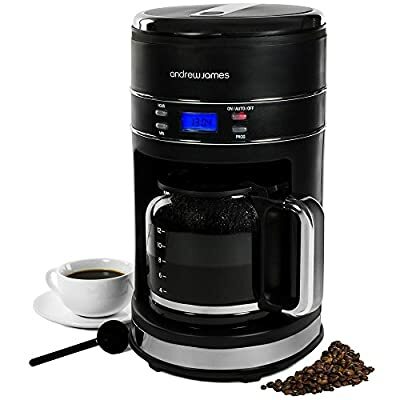 You can use any type of ground coffee in this machine, whether that's fine coarse or ground coarse, shop purchased or home made with a coffee grinder. 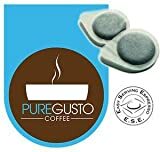 As a general rule of thumb, use one level spoon of coffee for each 125ml cup, but always check the manufacturer's recommendations if you're using shop bought packets. 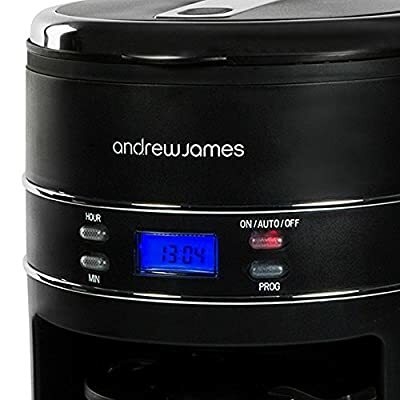 STYLISH COFFEE MAKER -- The Lumiglo Filter Coffee Machine from Andrew James is both practical and stylish, finished in matt black with blue LED lights, a clear LCD display and easy to use buttons. 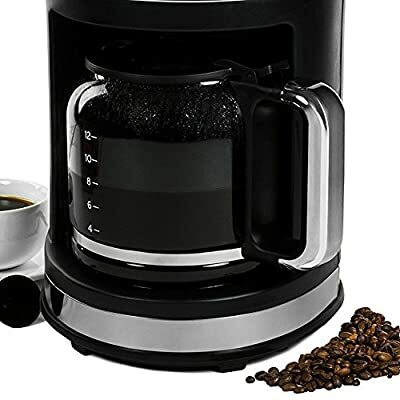 EASY TO USE FILTER COFFEE MACHINE -- Fill the carafe with water up to the mark for the number of cups you want and pour it into the machine and just add your ground coffee. 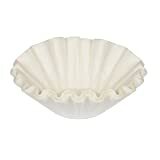 REUSABLE COFFEE FILTER & DRIP STOP DESIGN -- Save money on paper filters, this coffee dispenser uses a washable filter that can be used time and time again. 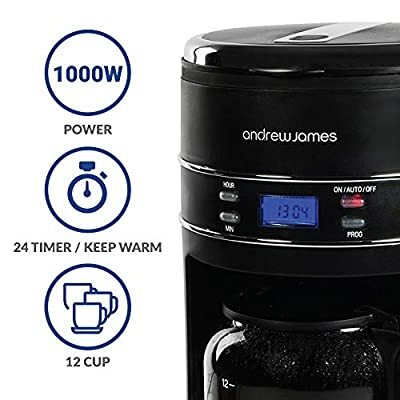 24 HOUR TIMER & 30 MIN KEEP WARM -- Have coffee ready when you want it by using the 24 hour timer, so much better than having to make your own coffee in a french press or stovetop maker. 2 YEAR MANUFACTURER'S WARRANTY -- Shop in confidence, your Andrew James Lumiglo Filter Coffee Machines is covered by a 2 year manufacturer's warranty.